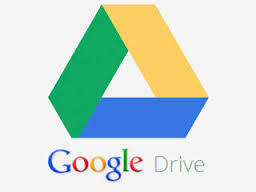 The Renaissance and Google Drive … to the Max! Approaching history through the people who create it is one of my favorite methods when teaching world history, especially since so many of these people are unfamiliar to Americans. Presenting a list of historical figures for students to research allows them an opportunity to choose the life and significant achievements they want to delve into–providing choice, depth and focus to the curriculum. How do the students present–and others learn–all these historical figures while maximizing class time? How do you get group work done effectively without students meeting outside of class? This is where our collaborative classroom–A123, Google Drive (also known as Google Docs), and the jigsaw teaching method came to my rescue. I approached our school’s media specialist about having groups work collaboratively on one PowerPoint simultaneously, and my desire to use A123 to the max, i.e. 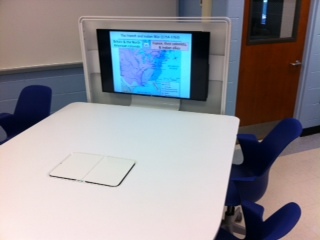 not just use the room for PowerPoint presentations, but real-life collaborative work that took advantage of the separate conference tables and screens. We brainstormed a solution with a few added “Spray Twists” to the implementation. Click the link here for a detailed explanation of how we used Google Drive and the jigsaw method. From my observations and student feedback I found that students enjoyed working together on Google Drive, and the jigsaw format motivated most to produce quality material since they were responsible for teaching their classmates in small groups. In A123, the students felt “professional” using the workspace and were amazingly focused on the lesson material on the individual table screens. From a teacher’s standpoint, it was a great success since I got to be the “guide on the side” and watch as students taught each other. The presentations ran smoothly and there was not one head on the desk–all were engaged. Notes were taken and the majority of students indicated in a post-activity survey that they felt the presentation format aided in their understanding of the chapter material. I don’t even know how I finished up here, but I believed this submit was once great. I do not realize who you’re but definitely you are going to a well-known blogger when you are not already.